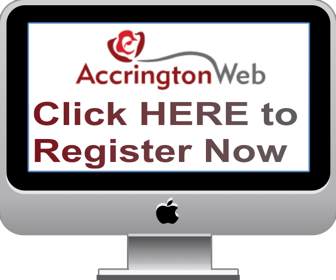 Accrington Web - Discussion forum for the Hyndburn and Accrington area. Read about the latest happenings on our site. Do you need any help with the forum? Do you like what you see? Do you want more sections? Any ideas to improve the forum welcome. Any problems please report here as well. New to the forum? Introduce yourself here and get talking. Everyone is welcome here at Accrington Web! & a hello from me! General chat - common sense in here please. Decent serious discussions to be enjoyed by everyone! Feel free to ask any questions about Accrington and the surrounding area and hopefully one of our members can help you out. Lost friends from the Accrington area? Maybe someone here can help? If you've got owt to sell stick it in 'ere. To discuss events, nightlife, pubs etc.. in and around Accrington. Also days out and about, where to go, where have you been, let us know! Situations Vacant & Wanted/Further education/Career Advice Advertise job vacancies. Let people know you are looking for a position. Advertise your skills. Give or ask for info on Further Education. Which are good firms to work for? What is Accrington famous for? If there is anything you know, please let us know in here. Tell everyone your money/time/effort saving hints and tips. Give or ask for advice in any area. Household, decorating, etc. Want to talk about the latest tunes or find like minded musicians in our area, this place is for you! If you sit in front of a screen and watch it, here's the place to discuss it. The "I remember when......." section is finally with us - lets reminisce! A place to discuss the history of our local area. Lets see some of your good Accrington photos. Please refrain from uploading copyrighted pictures! Also, if anyone has any photo requests, maybe some of our users could get them for you. Sub-Forums: ASFC Official Website, KIPAX Photo gallery. General chat about anything sport or hobby related. Let's talk computers! Got a problem with your computer? Need some advice? Got any great tips? Anything goes.....well, you'll get away with more here than anywhere else on Accyweb! But remember, we are a child friendly forum! Most users ever online was 2,111 (02-03-2010 at 21:37). The most members online over 24 hours was 335, 24-02-2011 at 21:33. All times are GMT. The time now is 19:14.